If you are a registered nurse looking to find your perfect new home state, take a look into our list of the 25 best states for registered nurses. I have personally had mixed experiences with nurses. Some nurses have been absolutely horrible, like the man who could not find my vein to take blood for thirty minutes and left me with a bruise the size of a baseball on my arm. On the other hand, some nurses have been amazing, and truly made my hospital visit. Recently, I was tested for Strep Throat, and the nurse was so kind and careful, which helped to offset how rude and rough the doctor was (she shoved the otoscope into my ear so hard that I winced three times, and then laughed and said I was being a baby). Becoming a registered nurse requires medical education and training. 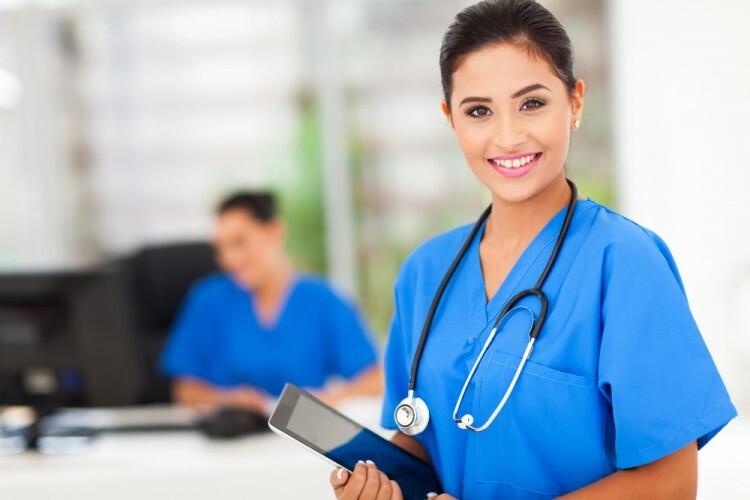 While a 2-year Associates degree is enough to generally land you an entry-level position, a Bachelors degree in Nursing will be necessary to attain most higher-level or higher-paying positions. “Registered nurses (RNs) provide and coordinate patient care, educate patients and the public about various health conditions, and provide advice and emotional support to patients and their family members”, according to the US Department of Labor. The Bureau of Labor Statistics claims the median annual salary for registered nurses is $68,450 per year ($32.91 hourly). RNs have quite a few options when it comes to they type of working environments they may choose from. Emergency rooms, major hospitals, private doctors’ offices, nursing homes, private homes, correctional facilities, military installations, and even schools are all facilities that require nurses. Nursing is not an easy field of work. It requires patience, meticulousness, compassion, professionalism, communication skills, and physical closeness with ill and injured patients. Also feel free to check out our list of 25 best states for microbiologists. Deciding which states qualify as the “best” is not a simple task. Different factors matter more to different people. We decided to consult the Bureau of Labor Statistics for information on the average mean wage and the number of employed microbiologists in each state. We then sourced information on the cost of living index from Missouri Economic Research And Information Center. Considering all of these factors, we were able to sort our list. Without further ado, here is our list of 25 best states for registered nurses.